Uniform outfit clothing wear job. 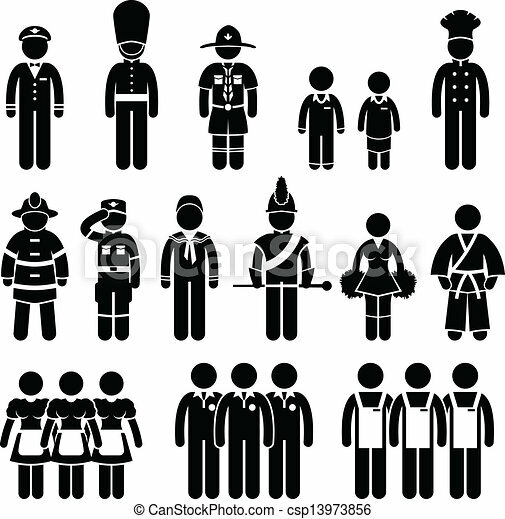 A set of pictogram representing the outfit uniform of different kind of jobs. 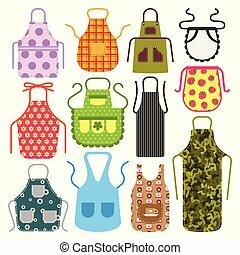 Food cooking apron kitchen design clothes housewife uniform chef cook protective textile cotton apparel vector illustration. Baker protection wear accessory fabric clothing. Bright orange cap as part of dustmans uniform. Headdress for person who cleans garbage. 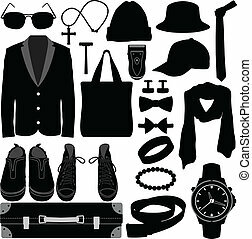 Accessory and work outfit detail isolated vector illustration. 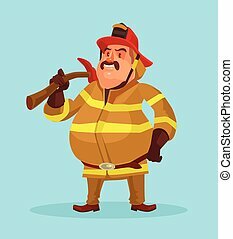 Man Firefighter, Part Of Happy People And Their Professions Collection Of Vector Characters. 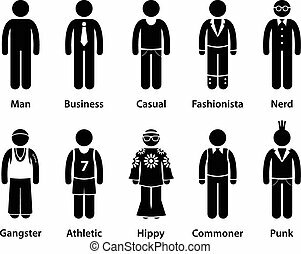 Professional Person And Job Attributes And Outfit Cartoon Illustration. 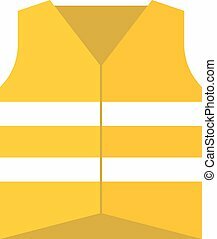 Orange protective vest personal workwear sign isolated. Waistcoat construction work protective vest clothing uniform isolated equipment. Worker jacket orange safe protective vest. 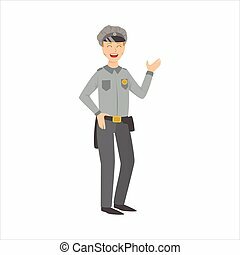 Man Police Officer, Part Of Happy People And Their Professions Collection Of Vector Characters. 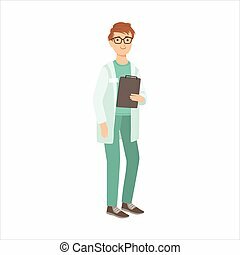 Professional Person And Job Attributes And Outfit Cartoon Illustration. 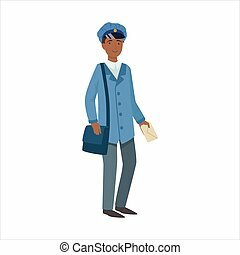 Postman With Handbag, Part Of Happy People And Their Professions Collection Of Vector Characters. 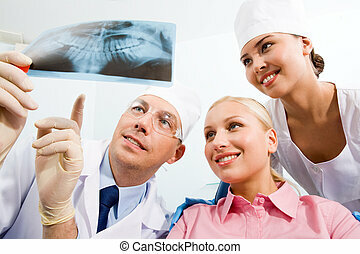 Professional Person And Job Attributes And Outfit Cartoon Illustration. Man Taxi Driver, Part Of Happy People And Their Professions Collection Of Vector Characters. 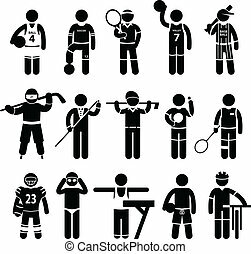 Professional Person And Job Attributes And Outfit Cartoon Illustration. 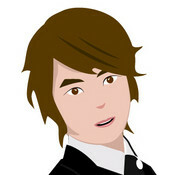 Businessman Office Worker, Part Of Happy People And Their Professions Collection Of Vector Characters. 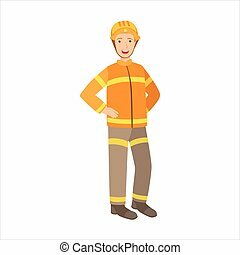 Professional Person And Job Attributes And Outfit Cartoon Illustration. 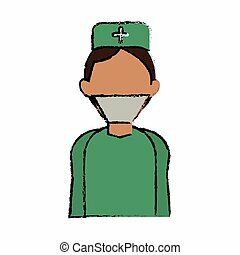 Medical Nurse Man, Part Of Happy People And Their Professions Collection Of Vector Characters. 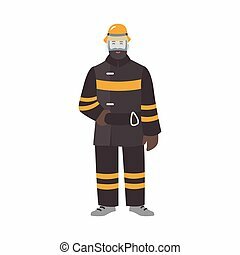 Professional Person And Job Attributes And Outfit Cartoon Illustration. 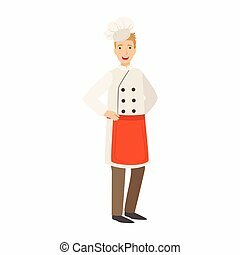 Restaurant Chef Cook, Part Of Happy People And Their Professions Collection Of Vector Characters. Professional Person And Job Attributes And Outfit Cartoon Illustration. 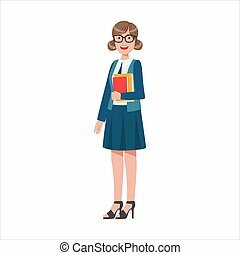 Woman School Teacher Holding Books, Part Of Happy People And Their Professions Collection Of Vector Characters. 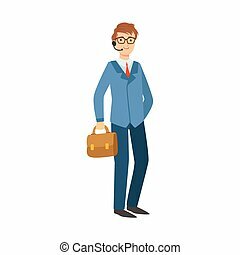 Professional Person And Job Attributes And Outfit Cartoon Illustration. 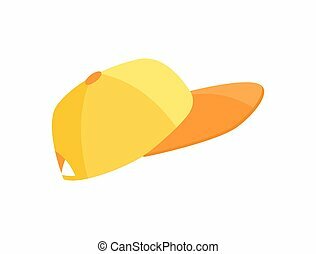 A set of clothing accessories for men. 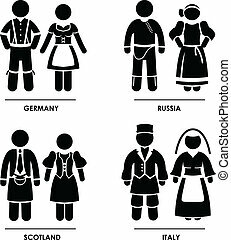 A set of pictograms representing people clothing from Germany, Russia, Scotland, and Italy. 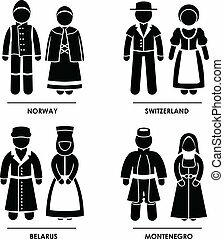 A set of pictograms representing people clothing from Norway, Switzerland, Belarus, and Montenegro. 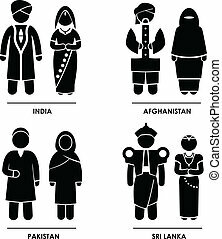 A set of pictograms representing people clothing from India, Afghanistan, Pakistan, and Sri Lanka. 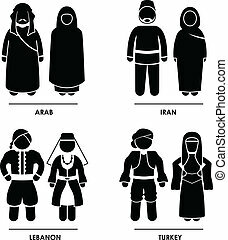 A set of pictograms representing people clothing from Arab, Iran, Lebanon, and Turkey. 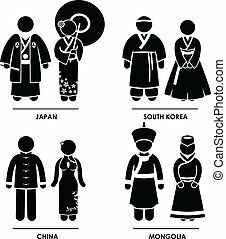 A set of pictograms representing people clothing from Japan, South Korea, China, and Mongolia. 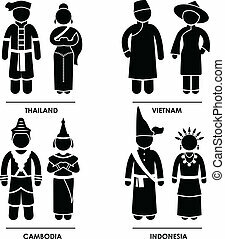 A set of pictograms representing people clothing from Thailand, Vietnam, Cambodia, and Indonesia. 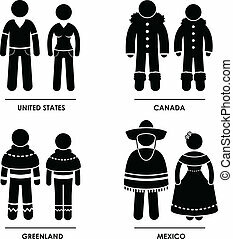 A set of pictograms representing people clothing from United States, Canada, Greenland, and Mexico. 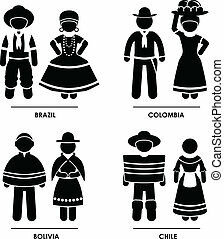 A set of pictograms representing people clothing from Brazil, Colombia, Bolivia, and Chile. 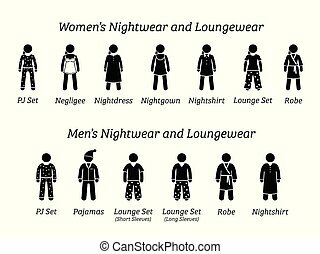 Stick figures depict different type of sleepwear, pajamas, and clothing that wear at home or house. 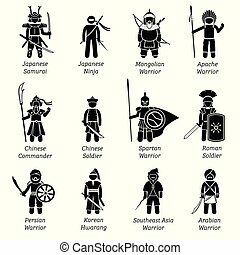 Illustrations depict ancient soldiers, military, fighters, outfit, wear, weapon, and armors of different dynasty and empires throughout the history. 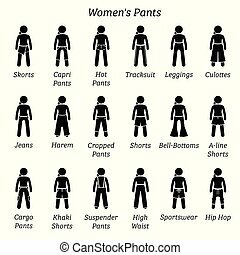 Stick figures depict a set of different bottoms, pants, trousers, and shorts. This fashion clothing designs are wear by woman, females, ladies, and girls. 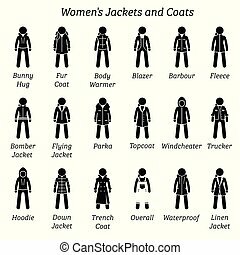 Stick figure pictogram depicts a set of different type of jackets and coats. This fashion clothing designs are wear by woman, females, ladies, and girls. 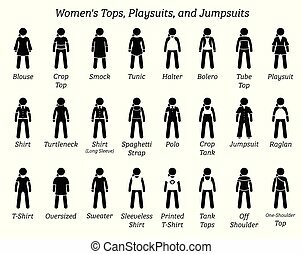 Stick figures depict a set of different type of tops, t-shirt, shirts, playsuits, and jumpsuits. This fashion clothing designs are wear by female, lady, and girl. 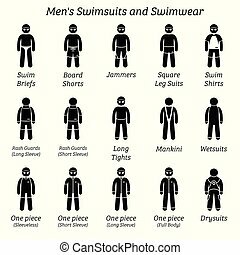 Stick figures depict different types of swimming suits fashion wear by man or male. 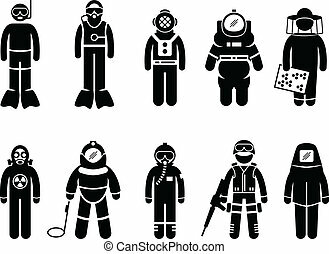 A set of people pictogram representing different type of protective gear for different type of jobs. 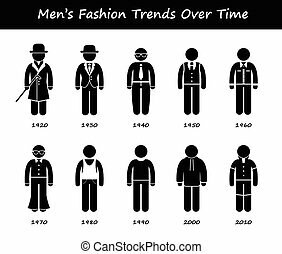 A set of human pictogram representing the timeline and evolution of men's fashion from 1920 to 2010. 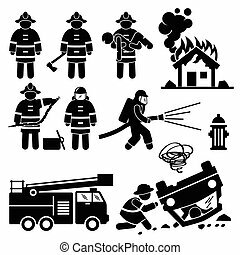 Human pictogram showing firemen on duty during fire, invasion of wild animal such as snake, and car accident. 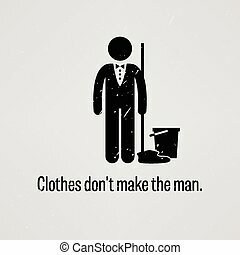 A motivational and inspirational poster representing the proverb sayings, Clothes Do Not Make the Man with simple human pictogram. 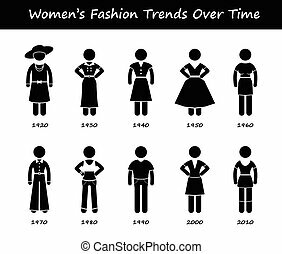 A set of human pictogram representing timeline and evolution of women's fashion from 1920 to 2010.